Vacation home mortgages allow borrowers to receive financing for a second property, whether it's a vacation home they plan to visit throughout the year or a property they plan to rent out. 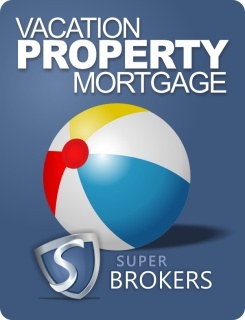 What is a vacation home mortgage? A vacation home mortgage, sometimes known as a second home mortgage or vacation property mortgage, is a home loan used for the express purpose of purchasing a second property. What are the benefits of a vacation home mortgage? Vacation home mortgages allow borrowers to finance a property that can be used for both personal use and investment. Vacation homes can be wonderful assets that add to your net worth, while also providing you and your family the perfect spot to vacation. Since vacation homes are often located in areas that draw tourism, their values are often higher than traditional homes. In addition, vacation homes can be used as rental properties, allowing borrowers to find tenants, whether year-round or for specified lengths of time, that will provide a steady flow of extra income. It can often be harder to get a vacation home mortgage than a traditional home loan. 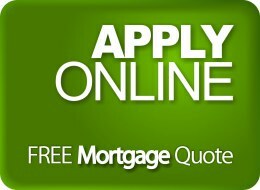 If you already have a mortgage on your primary property, lenders will see a second home mortgage as a financial risk. The difficulties involved can be even greater if you plan on using your vacation home as a revenue generating property. It's with this in mind that borrowers should do all they can to show their finances are in order, including paying attention to their credit history. In order to get the best mortgage rate on a vacation home mortgage, it's important to show lenders that you're not a risk. How do I get a vacation home mortgage? 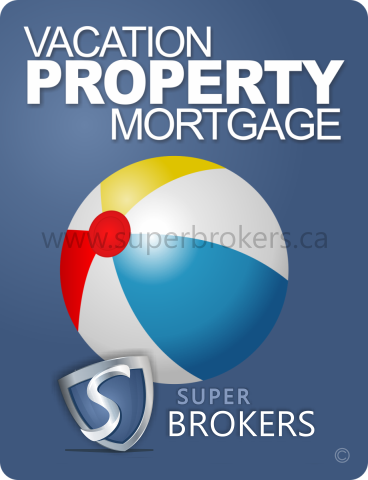 Contact Super Brokers to speak with a home loan professional about the best type of vacation home mortgage. Whether it's deciding on a fixed-rate mortgage or a home equity loan to finance your vacation property, these knowledgeable professionals can help you decide which suits your needs best. Keep in mind that mortgages need at least a 5 percent down payment and a maximum amortization period of 25 years. Also, the property must be on Canadian soil.